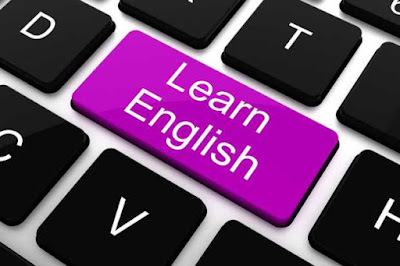 English Education degree prepares students to teach English in public and private schools. See: Career Prospects for Graduates of English Education. (i) EDLAV does not accept grade less than D7 in Literature in English at A level or its equivalent. a) two (2) A level passes plus the UTME: requirements, two (2) or three (3) NCe merit including English Language plus three (3) or two (2) O level credit passes in English Language and any of Literature in English, Religious Studies, Fine Arts, French, History or Government at one (1) sitting. (iii) OAU accepts two (2) A level passes in relevant subjects including Literature in English. NCE credit or merit in two (2) relevant teaching subjects including Literature in English may be accepted. (iv) JOS and EDALV accept holders of ND. (v) UNN, EDALV and IBADAN accept NCE with O level credit passes in subjects to be combined with Education into 300 level. (vi) PHC - No DIRECT ENTRY: admission. (vii) BSU requires A level passes in relevant teaching subjects including Literature in English, NCE with English Language and any other Arts subject. (viii) LASU accepts only NCE merit in English Language and one (1) other Arts subject. (ix) UMYUK accepts two (2) A level passes, NCE credit in English Language and any other Arts Subjects. (x) BIU requires in addition to the O level requirements specified in the table above, two (2) relevant subjects passed at A level or NCE (3) merits or ND in relevant programme not below credit level. (xi) TASUED accepts NCE merit in two (2) teaching subjects including Literature in English not General English provided that they meet the basic O level requirements. (xii) UNIOSUN accepts two (2) A Level passes to include English Language. (xiii) EBSU accepts NCE/two (2) A level passes in English Language, and Literature in English. (xiv) EDKANO - Candidates must obtain not less than eight (8) points in NCE. Very good passes in three (3) JUPEB subjects: Literature in English, and any two (2) of French, Igbo, Yoruba, History, Christian Religious Studies, Islamic Studies, Government, Economics and Arabic. Two (2) A level passes in English Language and Literature in English. NCE: English Language, Literature in English, Mathematics and any other two (2) subjects. A level passes to include English Language and one (1) relevant subject. Two (2) merit in NCE teaching subjects. (i) DELSU accepts General English at NCE in lieu of O level credit pass/TC II merit in English Language. (ii) AAUA and IMSU accept any other subject. (iii) IMSU requires O level credit passes in Literature in English and other Arts subjects. (iv) OAU requires five (5) O Level credit passes which should include English Language and Literature in English plus O level credit passes in any three (3) other subjects or credit/merit in five (5) TC II subjects relevant to the course of study may be accepted. (v) BSU accepts credit/merit at TC II in relevant subjects. (vi) BENIN requires five (5) O level credit passes to include English Language and other subjects from Literature in English, History, French, Fine Arts, Government and Religious Studies. (vii) UMYUK requires five (5) O level credit passes including English Language, Literature in English and any other three (3) relevant subjects in Arts or Social Sciences with O level credit pass in Mathematics. (viii) TASUED requires five (5) O level credit passes at one (1) sitting or six (6) O level credit passes at two (2) sittings to include Literature in English, English Language and one (1) other Arts subject. (ix) ABSU requires five (5) O level credit passes to include English Language, Literature in English and any three (3) subjects. (xi) LASU requires O level credit pass in Mathematics. (xii) ABUJA and EBSU require five (5) "O" level credit passes in English Language, Mathematics, Literature in English and two (2) other Arts subjects. (xiii) GOUU requires O level credit pass in Mathematics but Literature in English is not compulsory. (xiv) LAGOS requires five (5) credit passes including English Language, Mathematics, Literature in English and any two (2) of History/Government, any Nigerian Language, Economics/Commerce, Geography, French/ Arabic, Christian Religious Studies/Islamic Studies, Civic Education. (xv) EDKANO requires O level credit passes in English Language, Mathematics, Islamic Studies/Arabic and two (2) Arts subjects. (xvi) SLUK accepts five (5) O level Credit passes to include English and two (2) other subjects from History, Government, Geography, French, Arabic, Hausa, Islamic Studies and Economics. (xvii) AAUA requires five (5) O level credit passes in English Language, Literature in English, Mathematics and any two (2) of the following: Christian Religious Studies/Islamic Studies, Igbo Language/Yoruba Language/Hausa Language, and History, Government, French, Fine Arts or Music. GOUU requires O level credit pass in Mathematics but Literature in English is not compulsory. BENIN requires five (5) O level credit passes to include English Language and other subjects from Literature in English, History, French, Fine Arts, Government and Religious Studies. (i) EBSU and OOU require Literature in English and two (2) Arts subject. (ii) For BENIN the third (3rd) subject could also be an Arts or a Social Science subject. (iii) AAUA requires two (2) other subjects from Arts or Social Sciences. (iv) LAGOS accepts any three (3) Of Literature in English, History/Government, French/Arabic, Geography, Math, Yoruba/Igbo, Christian Religious Studies/Islamic Studies and any of Economics or Commerce. For BENIN the third (3rd) subject could also be an Arts or a Social Science subject.